CalMac: Speaking in Stornoway, where the Minister for Transport Stewart Stevenson MSP launched the scheme, CalMac Chairman Peter Timms said: 'We welcome the detailed clarification of the proposed scheme and now look forward to working with the consultants and with the Scottish Government to develop this into a robust framework which will be ready to apply from the start of our winter timetable in October (2008). CalMac fully supports any initiative which will help regenerate the economies of the islands we serve, through increased traffic and affordable rates. The scheme as proposed brings significant challenges for CalMac, which I am certain we will overcome, however we will need some months to prepare the groundwork prior to its introduction. We are now clear what needs to be done and the process of changing our systems has already begun.' The routes for the pilot study will be: Ullapool to Stornoway, Uig to Tarbert (Harris)/Lochmaddy (North Uist) and Oban to Castlebay (Barra) and Lochboisdale (South Uist), including Oban to Coll and Tiree. The RET pilot scheme will commence on 19 October 2008, the start of the winter timetable, and will run until Spring 2011. This will allow it to be fully assessed on its effectiveness, and to identify both positive and any possible negative implications of an RET scheme. This will include the gathering of traffic statistics and information from, for example, ferry users and local employers (including the freight and tourist sectors) designed to allow the impact of the pilot (especially in economic and social terms) to be assessed. CalMac Operations Director Phil Preston said: 'The precise detail of the RET scheme will be worked up as quickly as possible to reflect the fares which will be applied from October 19. We anticipate that our reservations system for vehicles will be open from late August and there is a significant amount of work to be done now to re-design the layout of timetables and other supporting literature, over and above the work that has to be done to re-focus the ticketing system itself. The new fares structure will be very straightforward and simple and it will help set aside many of the complexities which have been with us for historical reasons. It is a fair system and will be transparent and available to everyone travelling on an equitable basis. It remains to be seen how the new regime will impact on travel patterns and traffic flow. We will work closely with the consultants to monitor that on an ongoing basis.' Full details of the changes to the ticketing and pricing regime in the RET pilot area and the answers to some questions which may require further clarification will be posted on the CalMac website www.calmac.co.uk. There will also be provision on the website for customers to ask questions about the new scheme. What RET would have meant for Islay: The study was carried out by experienced consultants specialising in transport and economy. They are recommending that fares include a core cost plus an RET rate: What would RET have meant for Islay? The savings on the Islay route would have been very substantial. The standard fare for a car (for those staying for a week) is Â£90 return. A 5 day return fare for a car is currently Â£77. The RET return fare for a car would have been Â£40.00 (i.e. Â£5.00 + Â£0.60 x 25 x 2 =Â£40.00). The standard return fare for a driver or passenger or foot passenger is currently Â£14.40. The RET return fare for the above would have been Â£9.00 (i.e. Â£2.00 + Â£0.10 x 25 x 2 = Â£9.00). The savings on the commercial vehicles would have been colossal. The current situation is complex but the return fare for a 17.5 metre (45 foot) articulated truck is Â£503.20. Initial calculations suggest that the RET return fare for a 17.5 metre (45 foot) articulated truck would be Â£197.50. It is unclear whether this includes the driver at this time. The core RET rate for passengers is to be Â£2 plus 10p per mile. The core RET rate for cars is to be Â£5 plus 60p per mile. The core RET for commercial vehicles (CVs) is to be Â£20 plus 18p per lane metre per mile. Commercial rates are subject to VAT at standard rate. Jim Mather MSP, Minister for Enterprise, Energy & Tourism, responds to accusations of SNP favouritism: It has always been the intention of the SNP to first prove the principle of RET by trialling it and then to roll it out to benefit all the communities on islands and on peninsulas dependent upon ferries. This is part of a wider process to open up access and make remote communities more competitive that will also include the removal of the burden of Business Rates from many businesses in the Highlands & Islands.Obviously, the costs of such proposals are borne by the Scottish Budget and our parliament does not benefit directly and fully from the resultant economic growth of such moves. These currently accrue to the UK Treasury and that may explain why previous Scottish administrations lacked the ambition to start the process of making Scotland and its West Coast more competitive. Although current resources are limited, the ambition of this government to reverse the years of decline in the economies of our island communities is not. And this RET trial is proof that the process has started. Naturally, as MSP for Argyll & Bute, I would have liked to see many more of the routes within my constituency derive the first benefit but I am informed by Highland Councillor Roy Pederson, the architect more than 30 years ago of the concept of RET, that there are sound and informed reasons for the choice of the Western Isles routes, which by default include the Coll & Tiree destinations, as the natural and best choice for the trialling of RET. And meanwhile, we are budgeting to open up the Campbeltown Ballycastle route that will bring many more visitors and investors to Argyll & Bute. Further light is shone on the situation by Highland Cllr. Roy Pederson, responding to suggestions from Lib-Dem MSP Tavish Scott that the Western Isles trial was 'blatant discrimination' against Orkney and Shetland, (who) has stated, 'The Western Isles Council, on a cross-party basis, has, over the last five years, undertaken detailed research into the practicalities and relative benefits of adopting a variety of ferry fares mechanisms with particular focus on RET. Neither of the local authorities of Shetland, Orkney, nor for that matter, Argyll & Bute have shown interest in participating in this work. This foundation of research in the Western Isles, therefore, offered the Scottish Government the most convenient platform on which to mount its Â£22.5 million trial. Two and a half years is the minimum time in which resulting traffic trends and economic impacts can be properly evaluated.' The most astonishing thing about Tavish Scottâ€™s claim however, is that Orkney and Shetland are somehow disadvantaged by this. In fact the three NorthLink ferry services are by far the most heavily subsidised in the UK at Â£31 million per annum. Even the Â£116 High Season vehicle fare between Aberdeen and Shetland is below the projected RET level which would result on a Â£130 charge for a car on the 200 plus mile passage. 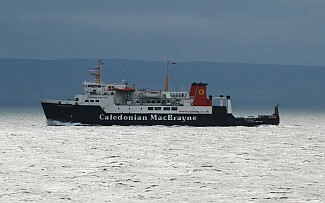 In the case of Orkney, the excellent Pentland Ferries service between St Margaretâ€™s Hope and Gills Bay in Caithness, developed by Orkney businessman Andrew Banks, provides an inexpensive and frequent service without public funding. Contrary to Tavish Scottâ€™s claim, it is in fact Orkney and Shetland that have hitherto had an 'unfair advantage' of cheap fares. Rather than make wild accusations, unsubstantiated by fact, Mr Scott should welcome the Scottish Governmentâ€™s well conceived initiative to enable the Western Isles to catch up. Roy Pederson is far too much of a gentleman to conclude, as I do, that if Tavish Scott can now so clearly see the advantage to be gained by island and remote communities with the introduction of RET it is surely pertinent to ask why he did not make any attempt to introduce this while he and his colleagues were Ministers for Transport for eight long years in the last administration. The record will show that far from doing this Mr Scott has always opposed the principle of RET and dismissed the concept when SNP members raised it with him. Ileach editorial note: RET pilot period will be very difficult for excluded islands. The major Argyll island groups of Mull and Iona, Islay, Jura and Colonsay along with Bute, Gigha, Lismore, Luing and Easdale have been excluded from the RET pilot - as has Shetland, Orkney, the Summer Isles, the Small Isles, Raasay, The Cumbraes and Arran. These will have to wait until the end of the scheme to see if it will be retained and extended to them. Concerns obviously centre around the competitive disadvantage faced by businesses on the excluded islands. The RET trial will last for two and a half years, (and so is to all intents and purposes a permanent change, because there is no way that it could ever be rescinded from the Western Isles), and will have dire consequences for remote tourism dependent islands such as Colonsay. The problem is simply illustrated - a tourist that fancies visiting a small Scottish island on holiday will be presented with the choice of travelling to (say) Coll for Â£60, or Colonsay for Â£150. Which destination are they most likely to select?